Then, call any new-car dealer that sells your brand of vehicle, and ask for the service department. 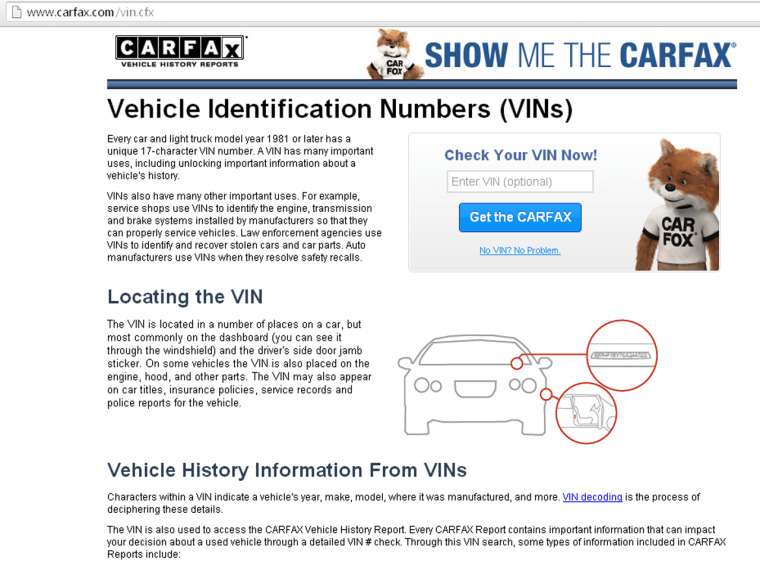 Tell them you want to know if your vehicle has any unfixed safety recalls, and give them your VIN. They can enter the VIN in their system and tell you immediately—for free! You can also sign up for free notifications of new safety recalls for your vehicle at SaferCar.gov or by calling NHTSA’s Vehicle Safety Hotline at 1-888-327-4236.